Complete anti-flu treatment for birds. 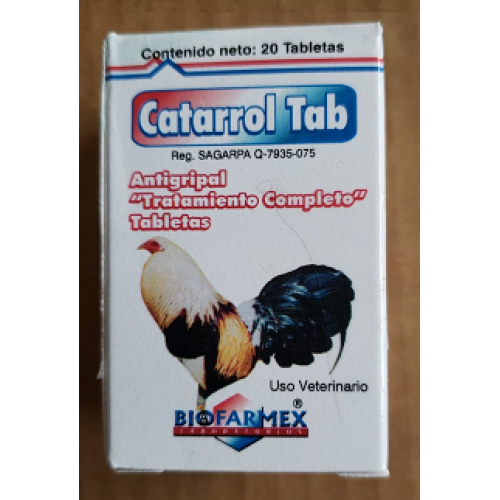 Treatment for the control of acute or chronic respiratory bacterial diseases and processes associated with: Pain, fever, inflammation, sneezing and cough. Anti-inflammatory steroidal, antihistamine, mucotolytic and expectorant. Florfenicol 100 mg, Lincomycin 50 mg, Ambroxol 5 mg, Diphenhydramine 5 mg, Dexametazone 0.125 mg, Guacol 25 mg.